As ‘Pool prepare for their second of three games, in what our German friends would call an englische Woche, Ian Holloway has indicated that he may rest certain players for the trip to Villa Park, as he seeks to give some of his new players their first real chance to shine. But just how many changes can we expect? The most obvious example of Holloway’s willingness to make major changes to his side came in last season’s home game against Sheffield United, where he made no fewer than seven. Ian Evatt, Charlie Adam, David Vaughan, Keith Southern, Hameur Bouazza and Billy Clarke all dropped to the bench, despite being automatic picks at the time. After a goalless opening 45 minutes, Adam and Vaughan were unleashed at half-time helping the Seasiders to a 3-0 victory. Who, then, is vulnerable from the starting XI against Everton? Resting the goalkeeper would seem unnecessary, so I’d expect Matt Gilks to keep his place. Neal Eardley too looks hard to displace with Alex Baptiste still a couple of weeks away from fitness – it’s unlikely Danny Coid would be thrown in. An injury to Craig Cathcart looks set to rule him out, while at left back David Carney may finally get the nod over Stephen Crainey. The rest of the team isn’t quite as easy to predict, the midfield especially. Holloway has shown in the past he’s not afraid to rest his star men, but leaving out Vaughan and Adam for the same game would surely be a high-risk strategy. A few injury niggles to Adam in recent weeks though may mean that he is the more likely of the two to be rested. With Keith Southern not yet fully match fit, it is doubtful he will add to the 62 minutes he managed against Everton. Up front Taylor-Fletcher is the man I would expect to be most at risk. GTF has stepped up to Premier League level surprisingly well, although his form has tailed off in the past few games, with time out of the side possibly the best thing for him. Luke Varney nearly missed the match against the Toffees, while DJ Campbell’s goal drought could put his place in jeopardy. 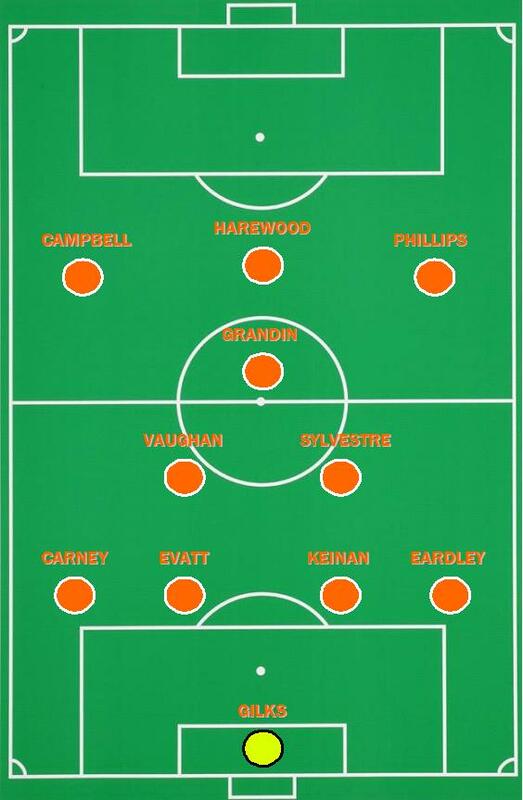 With all this in mind, this is one potential team Holloway could send out to face Aston Villa. Dekel Keinan is the obvious replacement for Cathcart, and with Carney featuring with more regularity from the bench, I suspect he may get his first start. Ludovic Sylvestre could come in if Adam is rested, with Elliot Grandin regaining his place behind the front three. Matt Phillips could not do any more to earn a place on the teamsheet and Marlon Harewood could be given the chance to score against his former employers. The remaining attacking place is anyone’s guess, but at the moment it seems like Campbell is somewhat undroppable. I’m not for a minute suggesting this is the team I would pick. A severely weakened Villa side is seemingly there for the taking, but Holloway’s intentions to rotate his squad have been made quite explicit. It could be all mind games, but I’d expect the unexpected when the teams are announced tomorrow evening.